With the movie Son of God releasing in theaters on February 28, for the next three Thursdays I’ll be rerunning a three part series I wrote on last year’s History Channel miniseries, The Bible. Son of God is Roma Downey’s and Mark Burnett’s movie about Jesus that is drawn from The Bible’s scenes pertaining to His life and ministry, as well as deleted scenes that did not make it into the miniseries. UPDATE: Click here to read Part 1, Part 2, and Part 3, of my article “Six Thoughts on History’s ‘The Bible'”. During and after The Bible’s run last year, Downey and Burnett received quite a bit of criticism for the show’s inaccuracies and copious amounts of artistic license taken. 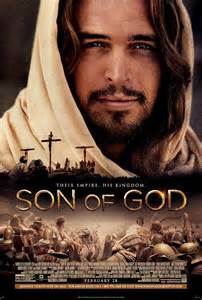 It would give me great joy to discover that they took those critical reviews to heart and fixed in Son of God the rampant errors and faulty theology of The Bible, but since they are using scenes and deleted scenes pulled directly from the miniseries, it doesn’t sound like they’ve re-shot and corrected anything. 1. Do you boycott products, organizations, restaurants, stores, actors, or political candidates who support abortion, the homosexual agenda, or any other sin? Well, taking God’s name in vain, the third Commandment, is still a sin. A big one. And it’s not limited to saying “OMG” or using God’s name in an expletive. Far worse than those is attributing to God things that He has not said or that are not true of His nature and character. This happened a myriad of times in The Bible, and, unfortunately, I anticipate that the same will be true of Son of God. 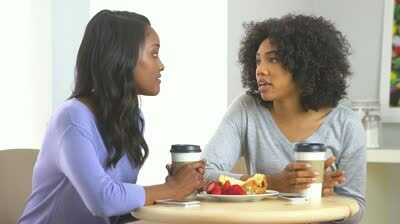 Are you being consistent if you boycott Girl Scout cookies and Starbucks yet give your money to people who claim to be presenting the Jesus of Scripture but put words into His mouth that He did not say and philosophies into His teachings that He did not espouse and which conflict with God’s word? 2. If you do choose to see Son of God, or if you have friends who see the movie, make the most of the opportunity to start conversations for sharing the gospel and pointing people to the true Jesus of Scripture. God can use anything to draw people to Himself, but they can only be genuinely born again if someone tells them the truth of the gospel and they put their faith in the Jesus of the Bible. 3. Do your homework. If you choose to see the movie, read one or more of the gospels (Matthew, Mark, Luke, and John) before and afterwards. Did Jesus really say to Peter, “We’re going to change the world,” as He does in the movie? If so, which verse says that? If not, what did Jesus actually say, and why? If you choose to see the movie, don’t just take for granted that what you see on the screen is true. 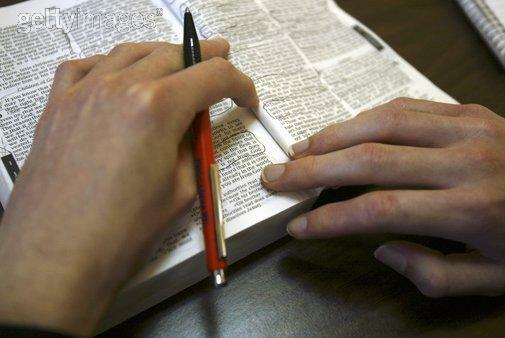 Get your Bible out, dig through it, and sharpen your discernment skills. Be one of those Bereans Luke praised so much for comparing what Paul preached to what Scripture said. UPDATE: After the original publication of this article, Downey and Burnett announced that they would be removing all of the scenes from Son of God that contained the actor portraying Satan due to last year’s controversy over his striking resemblance to President Obama. Since I haven’t seen the movie, it’s hard for me to give a really fair comment on this, but I’ll take a stab at it. I am much more concerned about the theology of leaving out Satan than I am about the politics. it tells me that she and Mark Burnett don’t have a full understanding of the meaning and implications of Christ’s life, ministry, death, and resurrection. The story of Jesus goes much deeper than just words on a page. Everything He said and did had eternal, omnipotent, prophetic, God-magnifying, salvific, miraculous foundations, impact, and effects. We’re not talking about an entertaining little story like The Three Bears or Gone With the Wind, here. The story of Jesus turns the universe inside out for every atom of everything that’s ever existed, including every single human being who has ever walked the planet. You can’t just cut a little here and cut a little there and sew the edges back together without the crippling the impact of the gospel. To say that now that they have cut out the scene with Jesus being tempted in the wilderness (I’m assuming this is the main scene they’re referring to. I can’t remember which other scenes may have had Satan in them. 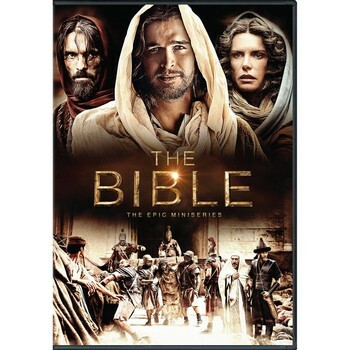 ), NOW this movie is all about Jesus just further demonstrates their lack of biblical understanding. Are they saying the wilderness temptation was not “about Jesus”? That incident was not about Satan. It was about Jesus. It is one of the major incidents in which we see that Jesus is both fully God and fully man. It also encapsulates the main point of the entire Old Testament sacrificial system– that Jesus is the perfect Lamb of God without blemish or spot, the only sacrifice that could permanently take away our sin. He could not have been our sacrifice for sin had He given in to Satan’s temptations even once. Finally, it is a demonstration to us that Jesus understands the struggle with sin that we go through because He went through it Himself, personally (Hebrews 4:15). To sum up, I think leaving Satan out has worse theological consequences than the political fallout for leaving him in. Should you see (and financially support) this movie? That’s between you and God. But whether or not you choose to see it, as with anything else in life, use it as a springboard for sharing the gospel and studying God’s word more deeply. What do you think? Should Christians boycott Son of God? Excellent, thoughtful post. Thanks for showing people how to use this to put the focus back on God. Although I enjoyed Ms Downey as an actor. She was in Utah when making the Angels show with the L.D.S. or Morman church influnce. In truth she might have joined the Church as it is known in Utah. The L.D.S. have more influnce than any other church that I know of. Their beliefs Are NOT christian. The Christians of today should know better than say we are of one belief IT IS NOT, they believe Satan and. Christ were brothers. THAT IS ONE TINY DIFFERENCE. TINY, NOT HARDLY!!! Ask the Christains that have been raised here and studied. The Church. I too can`t judge a show I haven`t seen. The angel show was beautifuly done except I felt that the Holy Spirit was not given its true roll in teaching about Salvation and that it is What we need to really have salvation & how it is received, by the Holy Spirit.!!!! Please dig deep into the basic beliefs some of the largier churches from T.V. preachers. They have made remarks that even my grandsoncaught them saying. And All I need is this “askJesus forgive me I.’m a sinner please forgive me ‘” Upon which time the HolySpirit comes into you and upon you are fully washed as if your glass was filled to the top overflowing with the HolySplrlt then its up to you just how full you allow the glass to be. We are to be reading, studing, living with the Spirit guiding us. I enjoy reading the Bible but I can`t. remember what I just read. The point is people need to dig espically when it comes ro belief in God and who it is. Please elp get the word out. There is another show ,of which I love to watch & I understand has been canceled as the main chacter told the truth. This show is drawing people like a magnet which is good as God said His Word would not go void; this church does believe in the same God as we do but I believe the Holy Spirit isn`t mentioned, WHY?? This church is and has been a part of the L.D.S. `beginings . :Josph Smith was a member of the Church of Christ. From early membership came teachings yet are not recalled and told how they should . THIS IS DEEP PEOPLE NEED TO REALLY AWARE OF WHAT THEY BELIEVE AND KNOW NOT TO AGREE WITH OTHERS THAT DO NOT BELIEVE.